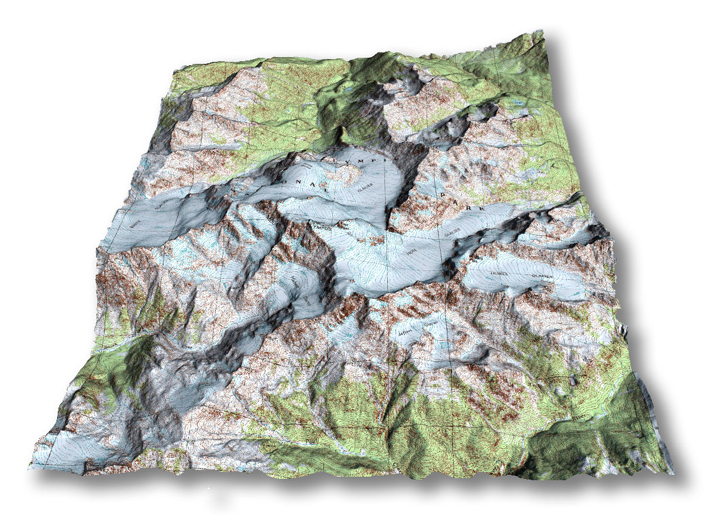 Block terrains, or digital terrain models (DTM), are 3D representations of the earth's surface in block form. 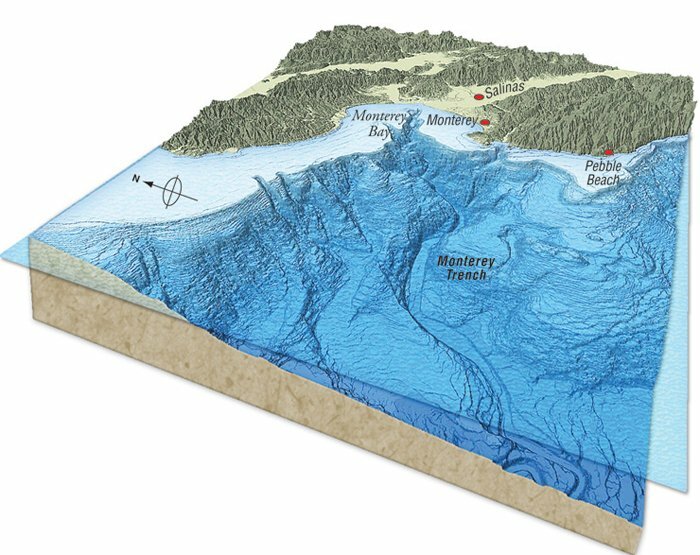 Block terrains mostly show the mountainous regions of the earth, however the surface of our oceans can also be mapped with this technique. 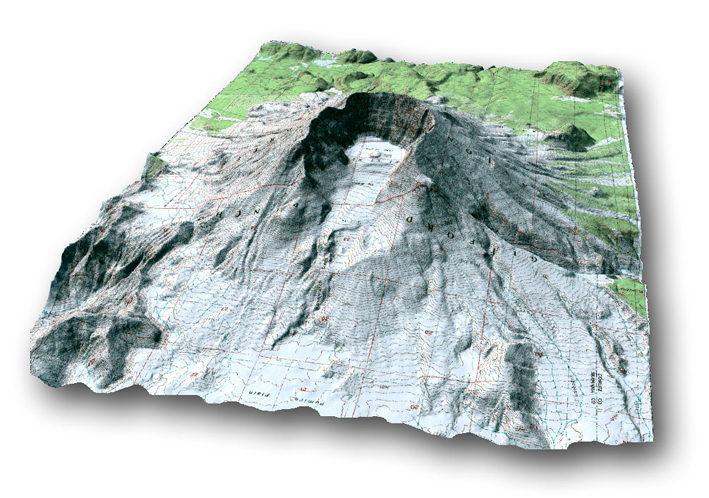 Mount St. Helens, Washington, U.S.A.